Smart Conversations - Webchat, Chatbots in Australia. Best way to engage with your clients is by talking to them,start a conversation with them. That is what "Interactive Conversation" do. At hostedbots you build a chatbot by using one or more building blocks called "Smart conversations". Smart Conversations lets you start a dialogue with your clients. Once they sends you a message, hostedbots will engage with them on your behalf. This engagement can range from a simple one liner auto responder to a complex flow. 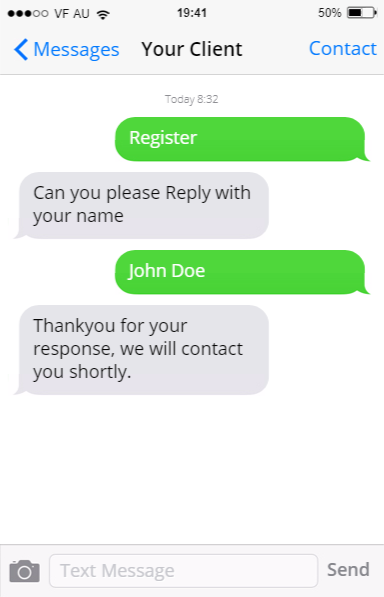 This is most simple type of chatbot that you can use to when your clients wants to contact you. It involves one action from your client i.e. they need to trigger this conversation by typing a specific keyword. this chatbot will perform a specific task based on the configuration . Once the action has been completed, our platform will send your client a confirmation message (optional). This chatbot is useful when you want to collect some information from the client. 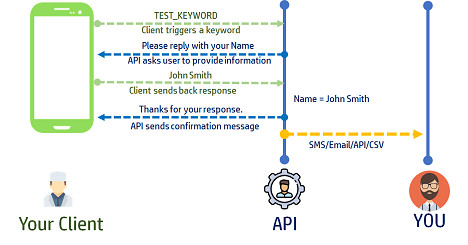 Once they sends you a message that has a specific keyword linked to this chatbot, based on your configuration, hostedbots will start an interactive dialogue with the client. This interaction involves asking a question, and then validating clients input in response to that question. You can also configure the type of input you are expecting from the customer, our GUI has some predetermined formats like email,numbers,text etc that you can chose while configuring an Interactive Conversation. Input from the client will be validated against that configured format type. This chatbot sends your client multiple options and hands over the control to the next chatbot based on their selection. It is useful in scenarios where you have already created multiple conversations and you want to give an option to your client so that they can choose which conversation they want to trigger. 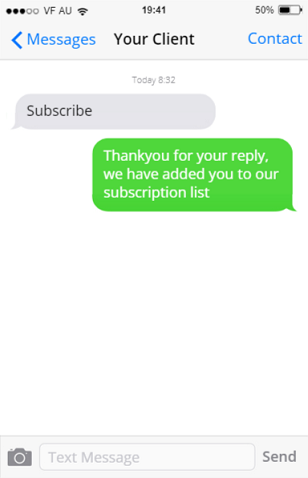 This conversation shows your client a menu with the options that are available on your product, each option is linked to a number, client can choose any option by replying back to the message with the number linked to that option. 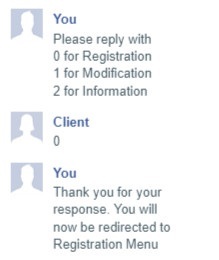 Once the client replies with option number, our platform will redirect the client to the appropriate action configured by you for that option.